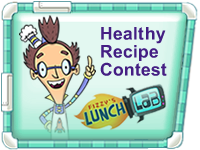 Send in your favorite healthy snack recipe entry. One entry per child must include the official contest forms signed by their parent/guardian. Deadline: Entries must be in by 5/21/2010.